Description about eBook : We are very excited to dedicate this annual specialty text of ‘Geeta Dharam’ in the service of great-hearted readers. 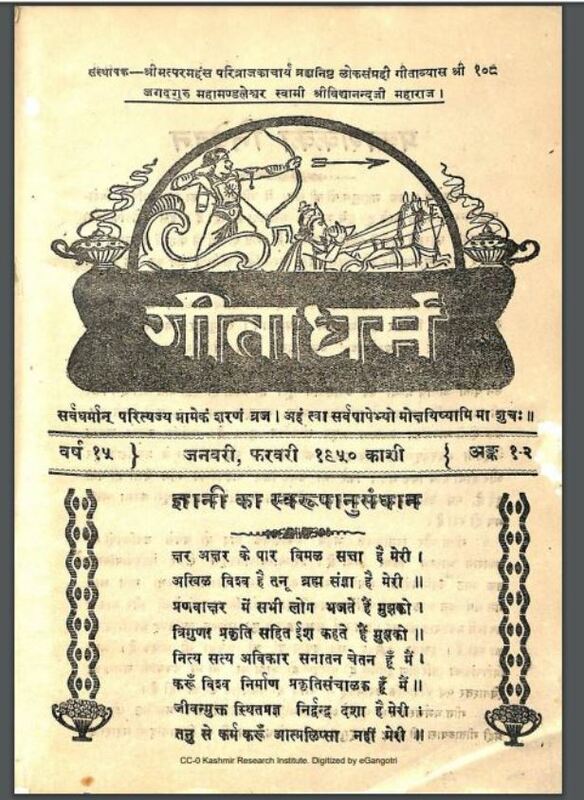 ‘Geeta Dharam’ is entering this fifteen year through this special issue. For the past two years we have been presenting great, serious and ecstatic Parimalic literature, which is famous for the Vedas’ Mastastasthanic Upanishad……………….